Loving Food Resources (LFR) is a food pantry that provides food, health, and personal care items to people in 18 counties of WNC who are living with HIV/AIDS or who are in home hospice care with any diagnosis. Loving Food Resources commits itself to a future with a greater positive impact in the lives of our clients and community. 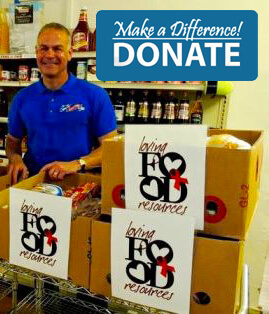 Organizing a food drive for LFR can help fill our shelves for clients as well as spread the word about the pantry. 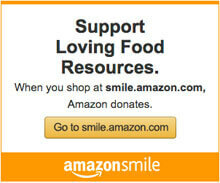 Now in its 28th year, Loving Food Resources provides food, health and personal care items. In 1996, LFR expanded the program to extend services to people in Home Hospice care. On average, 90+ people utilize the Loving Food Resources self-select food pantry each week. The total amount of food and personal care items provided to each client averages 45 pounds per week. Loving Food Resources is a partner agency of MANNA FoodBank/Feeding America, the NC State Nutritional Assistance Program (SNAP) and the Emergency Food Assistance Program (TEFAP). Through these affiliations, LFR is able to reach out further and offer food items to many. Our clientele consists of over 225 individuals from all walks of life. Loving Food Resources is a volunteer-driven nonprofit organization that relies on donations from individuals, fundraising events, grants and faith communities. Make automatic donations to Loving Food Resources while you shop—just use Giving Assistant. Loving Food Resources © Copyright 2015. All Rights Reserved.